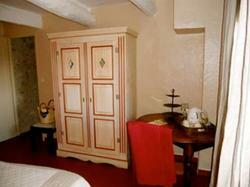 This 17th-century Provencal farmhouse offers B&B accommodation 1.4 km from the centre of Saint-Didier. It includes an outdoor swimming pool, a shaded terrace and a garden. Free Wi-Fi access is available in public areas. All the individually decorated rooms at Mas Pichony feature garden views and tiled floors. They also include a private bathroom with a shower and a hairdryer. Some of them have exposed beams. Guests can enjoy a continental breakfast every morning at Mas Pichony. Regional meals prepared by the hosts can be served on Monday, Tuesday and Friday, upon request and for a minimum of 8 people, in the dining room or on the shaded terrace. A summer kitchen is also available. Guests can play darts, table tennis and pétanque in the property. This B&B also includes a library. Decorated with individual character, these rooms offer garden views and tiled floors. A bathroom with a shower is also provided.